After over a year of dispute with the previous B.C. government, the Lower Similkameen Indian Band (LSIB) announced that the Province has granted them access to protect ancestral remains. "It was a great day. 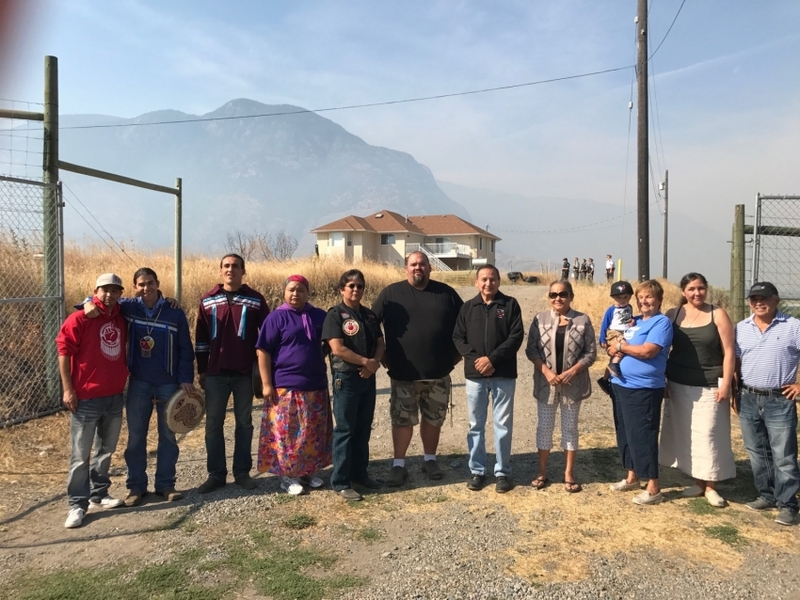 I'm so happy we're able to finally start the process of finally putting my ancestors to rest," said Lower Similkameen Indian Band Chief Keith Crow. In March 2016, possible First Nation ancestral burial grounds were unearthed in an orchard in Cawston, west of Osoyoos, B.C., when human bones were found by an orchardist. Although the exact age of the bones is unclear, they were determined to be ancient. Under the Liberal government, LSIB was granted temporary access to collect approximately 500 exposed remains but additional collection was required. An archeological impact assessment permit was not granted to fully determine the extent of the burial grounds. In response to this LSIB announced it would take action toward the reburial of the remains on September 11, regardless of the decision of the Province. Forests, Lands and Natural Resource Operations Minister Doug Donaldson and Indigenous Relations and Reconciliation Minister Scott Fraser granted the LSIB access to the site. According to the B.C. Union of Indian Chiefs, the recovery and reburial of these ancestral remains marks "an unprecedented action by the Province" who engaged Section 14.4 of the Heritage Conservation Act and provided a Heritage Ministerial Order Permit to the LSIB. The ministerial order ensures that this reburial is expedited and sanctioned. “We applaud the Horgan government for taking responsible, respectful, decisive actions, and today our technical people will take the actions necessary to properly attend to the remains of our ancestors," Grand Chief Stewart Phillip stated in a news release. “It's really important to get this done. We all knew this was important so I had my Nation behind me. We have to protect our ancestors," Chief Keith Crow said. "The current NDP government has been responsive and respectful. Moving forward, this decision is a step in the right direction for meaningful Nation to Nation relations within the Province of BC”.